Being a business owner comes with many big responsibilities. For example, business owners must make sure that their employees are safe from hazardous working conditions, they must honor the agreed upon wages, and restaurant owners cannot serve food that cleary contains cockroaches. It may be difficult to imagine finding a cockroach on your plate at Applebees, but these situations do occur on occasion. It is bad enough to hear news reports telling about one single cockroach being found in one of your favorite restaurants, but finding a cockroach on your plate as it is presented to you seems like a cruel joke. Unfortunately, this exact scenario has recently played out in the city of Cardiff, Wales. A restaurant owner was not only forced to pay a disgusted customer two hundred pounds for serving her a cockroach with her meal, but a judge slapped the owner with a suspended jail sentence as wel. This means that the owner could be sent to jail if another insect is found within his restaurant. After a customer was served a plate containing poppadom at a restaurant known as The Curry House, she quickly found the unmistakable remains of a cockroach on her food. Understandably disgusted with her find, the woman left the restaurant and reported the owner to the city council. In response to the complaint the council had the restaurant checked out by local police officers. The officers did not have to look hard to discover a cockroach infestation within the restaurant. Roaches were found on the walls and the floor, especially near a drain. After a bit of investigating it was found that the owner neglected to have a cockroach infestation treated by a pest control professional. 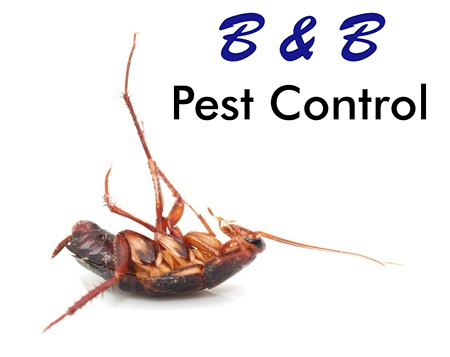 A record dating back two years shows that pest control professionals inspected the restaurant and found roach and rat infestations. These inspectors even determined the restaurant to be a significant risk to the public due to roach-contaminated food. Despite this, the owner failed to take action against the pest infestation. The restaurant owner’s failure to have the roaches and rats eradicated from the restaurant put the public at risk of illness. The charges against the owner are considered serious and he has been given a three month suspended sentence and several fines as a result of his negligence. One more slip-up will see the owner behind bars. Do you worry about insect infestations in restaurants? Would you ever return to a restaurant that accidently served you a bug?